Marc Serra´s Happy People at Galeria H20 is a timely antidote to the stylistic trends that beset portrait prizes and their subsequent exhibitions where year in year out images of anonymous people stare vacantly into the camera, sombre and subdued. In fact the whole show flies in the face of any such depiction of people practiced in contemporary fine art photography. Favouring what is now perceived as an old-fashioned element, the smile, this photographic project muses reflexively on the idea of how we feel obliged to appear happy or express happiness to the world. In order to produce the portraits for Happy People Serra set up a temporary photobooth in H20 and for one week in January and invited passers-by to come in and get their picture taken. 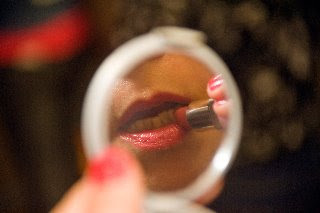 Shooting his subjects with a digital camera in a mode that incorporates an automatic smile detection system, the shutter can only be released and the photo taken when the model smiles. 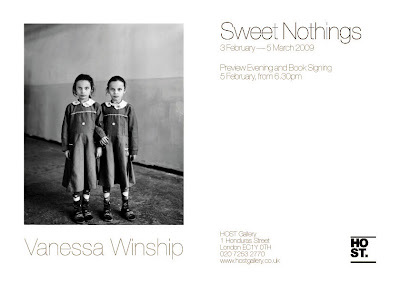 What emerges from this entertaining series of intimate photographs is a portfolio that hovers somewhere between a conceptual play with the processes involved in image making and a questioning of the ways visual culture projects and perceives ‘the other’. 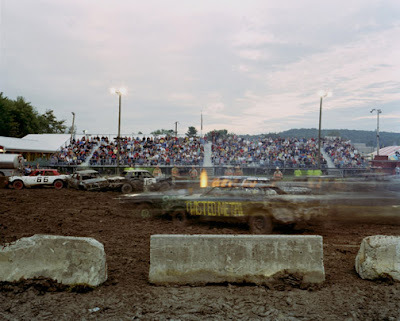 "The Bad Boys, Derby Boys, and All Banged Up are demolition derby teams from Pennsylvania and New Jersey. During the summer months members of the group work on junked cars with the intention of entering them into competition. 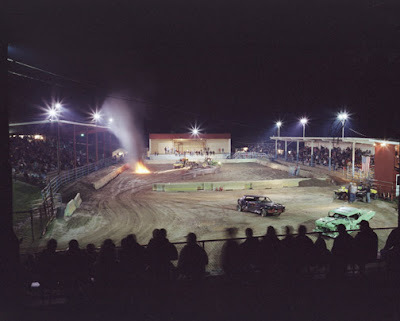 Derbys consist of one or more 'heats' where cars or trucks ram into each other until only one is able to move. An ambulance and fire truck is always on hand to evacuate injured participants and control any fires that may break out. 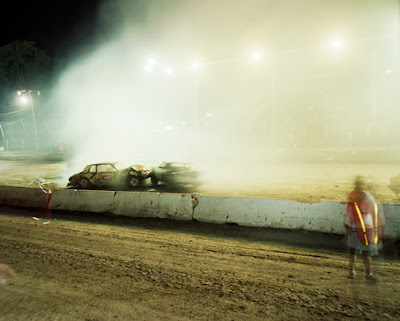 The demolition derby combines the love of cars with the love of destruction. This tradition may become threatened by dwindling oil supplies, but in the mean time, the sound of revving engines and crunching metal will continue to emanate from rural America." 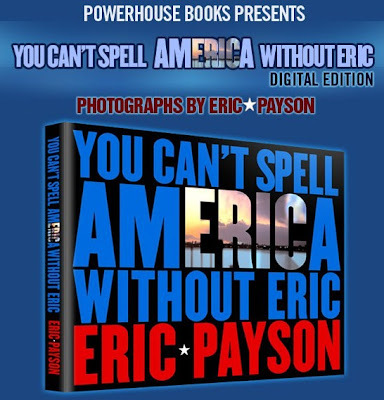 Powerhouse just sent me this info on You Can’t Spell America Without Eric, "a contemporary memoir of the people and places encountered by the artist during his travels throughout the United States. In the great tradition of the American road trip, Payson journeys from New York to Los Angeles with stops in the deep South and the sunbelt, documenting his encounters and revealing a dynamic diversity of experiences. With a keen eye for detail and razor-sharp wit, Payson dissects his America with a stunning Technicolor vision. Featuring an essay by Britt Salvesen, curator of the Center for Creative Photography, You Can’t Spell America Without Eric is the culmination of his compelling vision of American culture." Whilst traipsing around the web I stumbled upon this short snippet of an interview with George Georgiou, a photographer whom I admire very much. His final words seem to have stuck with me in quite a weird way. Coincidentally, not long after posting this I saw that Jim over at Lens Culture has also presented some images from George´s tremendous series Fault Lines: Turkey East to West. Check it out here. 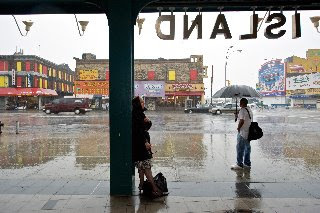 "The announcement that Astroland was about to close, along with the hard rain brought when Hurricane Hanna made landfall, sparked an idea to use these circumstances and setting as a backdrop for a narrative. 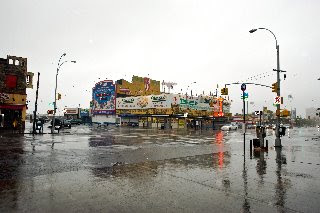 A woman goes to Coney Island to grieve the end of a relationship. She's there to reflect and to experience her feelings of loss. 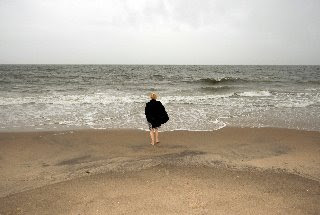 The almost deserted landscape serves to amplify her emotions and put her in touch with them. 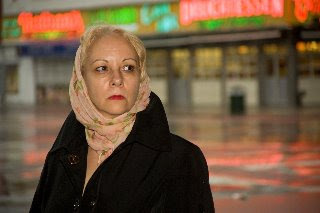 Working with the model, Laura Minchella, we fashioned a fictional character that resonated with her personal history. This allowed her to bring an intensity and depth to her performance. 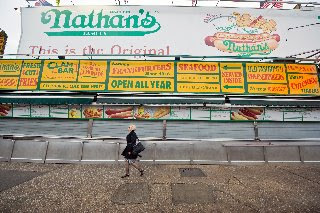 Coney Island, in a period of transformation, seemed an appropriate place to tell the story of a woman letting go of the past and perhaps glimpsing the start of something new." Robert Herman was born in Brooklyn, New York, and grew up on Long Island. 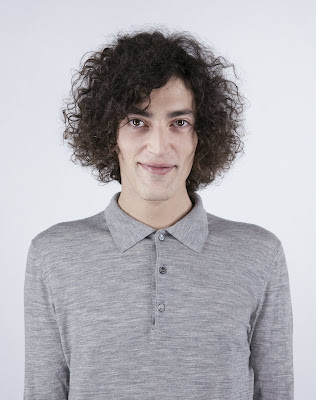 At the age of twelve, he began working as an usher in the chain of cinemas owned by his parents. Exposure to such a wide range of films during his formative years provided him with a unique vision: “Working for my father allowed me to view the same movie repeatedly,” he recalls, “until the story line began to recede and the images became independent of the narrative." 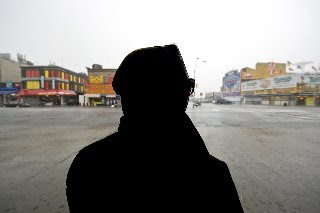 Several years later, as a student at New York University Film School, Herman began crafting this vision by creating experimental narrative and documentary films. At this time he also started to include the study of still photography in his repertoire by cataloguing New York street life with his camera. As a production still photographer on independent feature films, Herman discovered the life at the periphery of film locations, which he found even more compelling than the actual film sets. In Herman’s bold use of light and composition, he effectively transforms everyday subject matter into vibrant, emotion-filled images. Herman’s photographs have been exhibited throughout the United States. His work is included in the permanent collections of the Telfair Museum in Savannah, GA, the George Eastman House in Rochester, NY, as well as in many private collections. 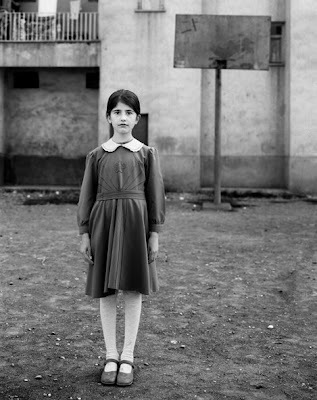 He is currently working on his Masters Professional Studies in Digital Photography at the School of Visual Arts in NYC.